The battle over the handling of Brett Kavanaugh’s confirmation hearing isn’t over as Sen. Chuck Grassley is calling on the Justice Department to criminally investigate one of the justice’s accusers and her attorney. Grassley, who is the chairman of the Senate Judiciary Committee, sent a letter to the Justice Department calling for Julie Swetnick and her attorney Michael Avenatti to be subject to a criminal investigation. 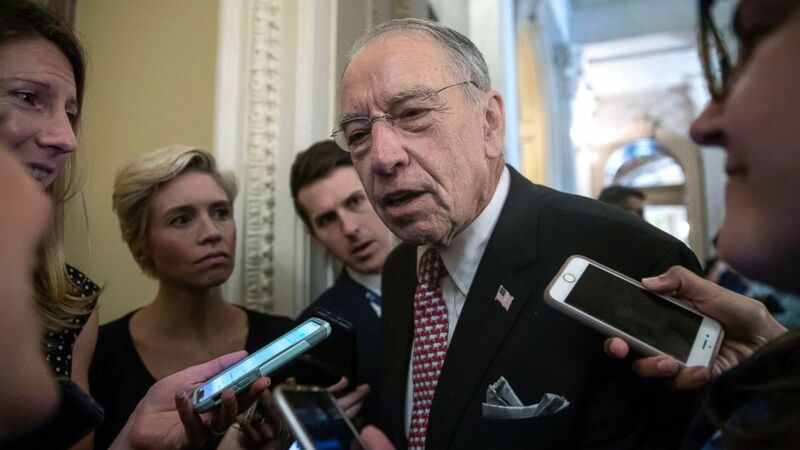 Grassley questioned the veracity of Swetnick’s claims of allegedly being aware of sexual assaults that Kavanaugh may have participated in during his time in high school. Kavanaugh denied all of the claims. “When a well-meaning citizen comes forward with information relevant to the committee’s work, I take it seriously. It takes courage to come forward, especially with allegations of sexual misconduct or personal trauma. I’m grateful for those who find that courage,” Grassley said in a statement. “But in the heat of partisan moments, some do try to knowingly mislead the committee. That’s unfair to my colleagues, the nominees and others providing information who are seeking the truth,” Grassley said. Avenatti, who first came to national attention for representing adult film star Stormy Daniels, tweeted his response to Grassley’s call for an investigation. “It is ironic that Senator Grassley now is interested in investigations. He didn’t care when it came to putting a man on the SCOTUS for life. We welcome the investigation as now we can finally get to the bottom of Judge Kavanaugh’s lies and conduct. Let the truth be known,” Avenatti wrote on Twitter. Swetnick was the third woman to publicly accuse Kavanaugh of alleged sexual misconduct during his confirmation hearings in September. The other two women who accused Kavanaugh were Christine Blasey Ford, who publicly testified before the Judiciary Committee about her alleged assault by the judge, and Deborah Ramirez, who accused him of sexual misconduct when they were both students at Yale University. Kavanaugh denied all of the claims. Swetnick shared her allegations after releasing a sworn declaration that Avenatti provided to the Senate Judiciary Committee. “I don’t know who this is and this never happened,” Kavanaugh said in a statement. After a contentious confirmation, Kavanaugh was ultimately sworn in as a Supreme Court Justice earlier this month. ABC News’ James Hill contributed to this report.